What happens when your ideals and desires, plans and strategies, all go awry? From what sources might one find the resolve to begin a rebuilding process? The fact is, writes Gordon MacDonald in Rebuilding Your Broken World, the God of the Bible is a God of the rebuilding process. And not enough broken people know that. No stranger himself to brokenness, Gordon MacDonald draws from personal experience and discusses the likely sources of pain, the humiliation, and the long- and short-range consequences of a broken personal world. And he offers encouraging answers to the questions everyone asks when their worlds fall apart: Is there a way back? 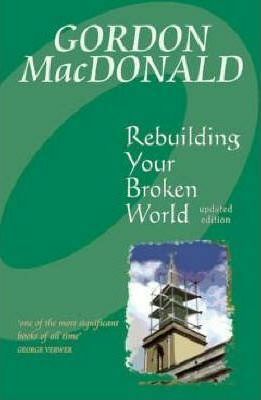 Rebuilding Your Broken World by Gordon MacDonald was published by Highland Books in May 2004 and is our 23070th best seller. The ISBN for Rebuilding Your Broken World is 9781897913680. Be the first to review Rebuilding Your Broken World! Got a question? No problem! Just click here to ask us about Rebuilding Your Broken World.